I simply love a power pump and bold lipstick. Paired together they pack quite a punch! 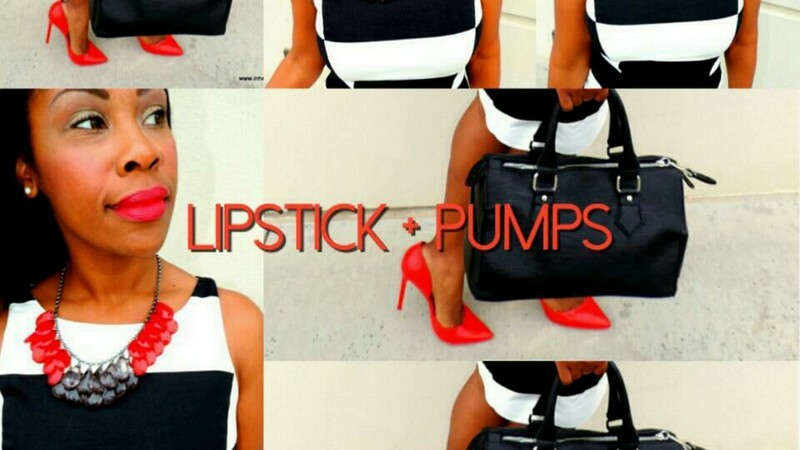 Lipstick + pumps = power! 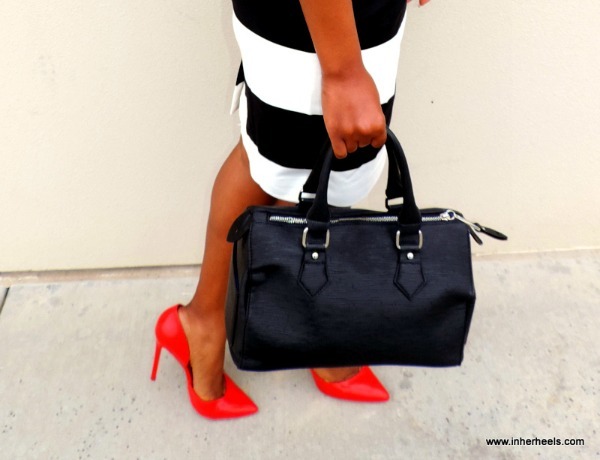 I decided to take my Nine West Instyle pumps out for a spin yesterday and I'm so glad I did. I paired them with a fabulous black and white striped printed dress from JCPenny and the gorgeous Revlon colorstay trendsetter lipstick. Such a great combo. Have a fab day!